Another year of the Paris SIAL has finished, with the exhibition running between the 19th and 23rd of October. Once again, Frigoríficos Costa Brava would like to thank all the visitors who showed an interest in our products. The Paris SIAL is one of the most important exhibitions in Europe, with over 100 countries represented and more than 6,000 companies from 20 different sectors in the food industry. 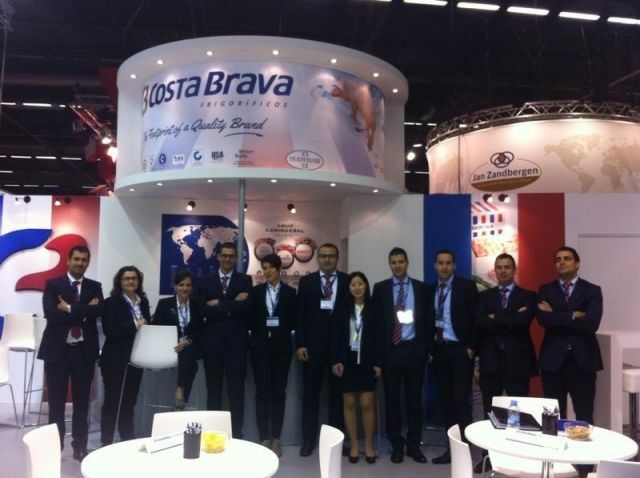 During the 2014 edition, Frigoríficos Costa Brava presented different meat products, as well as hosting a separate stand, after several years of presenting our products in the general stand for Catalonia.